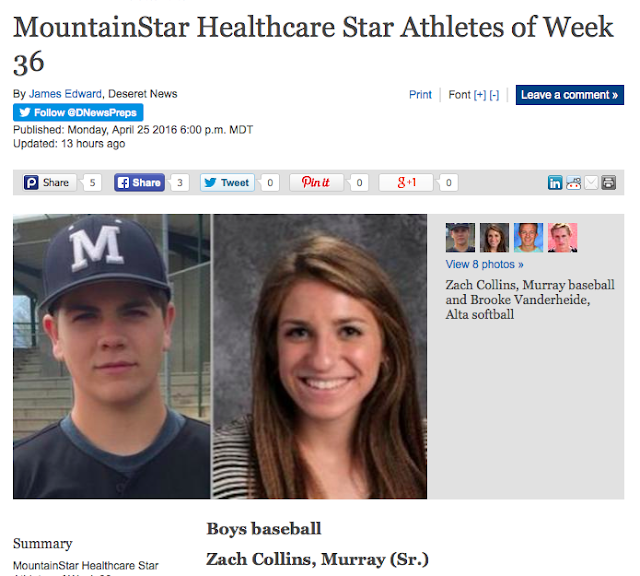 Today I woke up to the surprise of Zach being featured in the Deseret News article as the STAR ATHLETE of the WEEK. I am very proud of his drive, determination and mostly his kind heart. He is the one cheering EACH of his team members on and really sees baseball as a TEAM sport. I love this KID!!!! I love you Zach!!! 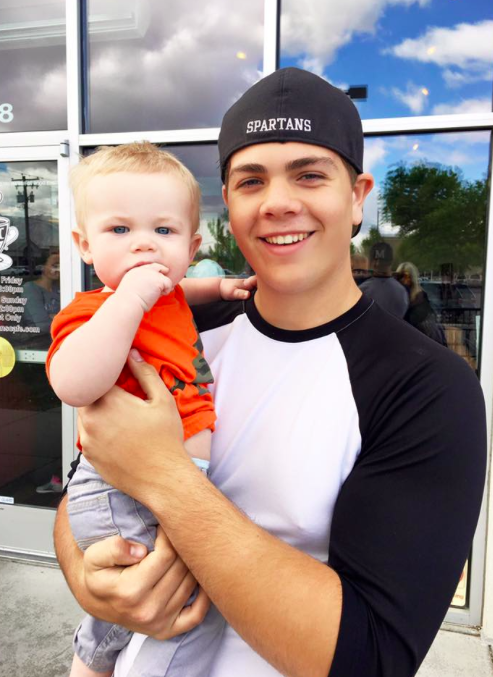 The Spartans are one of just two undefeated teams remaining in Utah, and the play of this senior is a big reason why. Collins is batting .629 this season with six home runs, seven doubles and 32 RBIs. His slugging percentage is 1.371 with only one strikeout. “Zach is a four-year varsity starting catcher. He's the best high school catcher I've ever coached and one of the best I've seen in many years, well beyond his years in regards to his intelligence behind the plate. For the past four years every pitcher through this program knows how fortunate they've been to pitch to a catcher of Zach's ability,” said Murray coach Marce Wilson. Collins maintains a 3.95 GPA as well.